There is no need to dwell on negative thoughts in regards to cleaning anymore. It is true that dealing with house chores can be bothersome and quite unpleasant. But you don’t have to do it alone. Now you have access to the best domestic cleaning in Streatham. 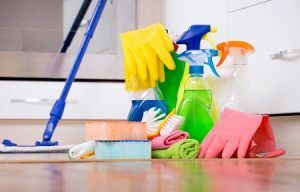 Our company Top London Domestic Cleaners is one of the most reliable cleaning companies in the area that you can hire. We offer the perfect services for you in regards to keeping your property fresh on a regular basis. There is nothing worse than coming home back from work and forcing yourself to clean. And you might not be into wasting your time doing the cleaning tasks. Doing your favourite hobby or just catching up with your loved ones surely sounds better. That is why you can have our regular domestic cleaning. We can provide a cleaner for your home at a time that is convenient for you. They will deal with all of the cleaning tasks throughout the day so that you don’t have to worry. You’d be more than happy to come back home to a refreshed and sanitised environment. This reality could be yours with a single call on 020 3322 8143 to hire Top London Domestic Cleaners. You really needn’t worry about a thing when you work with us. We will process your query quickly and won’t leave you waiting. Whether you want to ask about our prices or domestic cleaning service availability, you can do so by calling 020 3322 8143. Our customer support centre is ready and waiting to assist you with anything you need. Just give us a call or send us an email, and we will get back to you. Top London Domestic Cleaners is here to provide you the finest cleaning services you can ever wish for. What is new in Streatham? Streatham is located in the southern part of London. Pretty much the entire area is located in the London Borough of Lambeth. The London Plan has listed Streatham as one of the 35 major centres in Greater London. The name originated from the London to Brighton way and holds the meaning of ‘the hamlet on the street’. Large changes occurred to Streatham in the 18th century, when the natural springs of the area gained quite a lot of popularity. Wealthy people were attracted here and built their properties. Among the surviving houses from that time is Park Hill. It was the home of Sir Henry Tate, a known benefactor of local libraries. He founded the Tate Gallery in Millbank. Streatham is known for its Streatham Festival, established in 2002. It has grown exponentially, attracting numerous visitors with over 50 events at bars, youth centres, churches and parks. Choose our high-end domestic cleaning in Streatham – call our friendly customer support on 020 3322 8143.